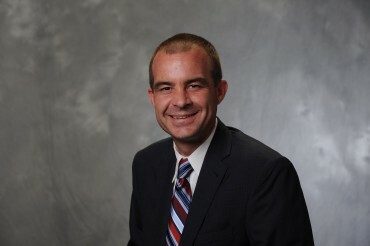 Tim Richey was selected as Chief Executive Officer for Detroit PAL in January of 2012. He has served in a variety of capacities since 2001, joining the executive management team in 2006. Mr. Richey was integral to guiding the organization through two successful mergers, crafting the strategic direction of the fledgling entity at pivotal points in its storied history. Throughout Mr. Richey’s tenure, he has been involved with fundraising, operations and direct service programming for an average of 12,000 participants yearly. Together these experiences make him uniquely suited to lead Detroit PAL. Mr. Richey is a builder. In 1996 he co-founded one of the first youth soccer leagues in Detroit. This involved planning and implementation of the program from the ground up. Mr. Richey recruited volunteers and youth from every corner of the city to participate in this traditionally suburban sport. He also engaged the City of Detroit and Wayne County to create dedicated fields, and he secured resources from a number of entities including the United States Soccer Foundation. When The Detroit Youth Soccer League joined Think Detroit in 2001, it served 850 aspiring athletes in five locations. Mr. Richey received the Crystal Apple Award in 2011 as an outstanding educator by the College of Education at Michigan State University for his work in developing and executing a unique training curriculum for more than 1,700 Detroit PAL volunteer coaches. He was also named the Michigan State Youth Soccer Association’s Coach of the Year in 2009 and was elected into the Michigan Bucks Hall of Fame in 2011. Mr. Richey graduated from Michigan State University with a Bachelor of Arts in 1993.